After a gap of 11 months, US Citizenship and Immigration Services (USCIS) finally held the highly anticipated EB-5 Stakeholder Meeting, the first since Director Nicholas Colucci took office. There was no indication of how many people were participating as the meeting was held telephonically. Critical issues such as regional center expansion, processing time, bridge loans, etc. were discussed during the meeting, followed by the usual round of questions and standard “we are not answering this...too fact specific…we are doing our best, give us a break” type of answers. Notwithstanding this, we did feel that this session was particularly informative. Below is a summary of the key issues and clarification discussed by the USCIS and the stakeholders. USCIS confirmed that from February 14, 2014, I-924 regional center petitions and I-526 alien entrepreneur petitions will be adjudicated in the Washington, DC field office. Forms I-829 removal of condition and the I-485 adjustment of status petitions continue to be adjudicated at the California Service Center. USCIS stated that the average processing time for I-526 (Alien Entrepreneur petition) and I-829 cases (Petition by Entrepreneur to Remove Condition) is 11 months, which reflects an average processing time for both regional center cases and direct EB-5 cases. When asked if the processing time for direct petitions was considerably shorter than for regional center petitions, USCIS’s polite response repeated the average processing time. Our practical experience is that regional center cases are taking approximately 16-18 months, approved RC petitions around 8 months and stand-alone / direct EB-5 petitions 11-12 months. The processing time for I-924 regional center petitions is now at 12 months. It was intimated, however, that due to the loss of 35 staff members (from the CA Service Center) the processing times would temporarily increase. One frustrated caller complained that his clients had been waiting for almost 2 years! USCIS has started drafting revised EB-5 regulations. The Service stated that it would welcome comments and suggestions on the proposed regulatory changes. In an attempt to move into 2014, it appears that USCIS is encouraging public engagement through social media. USCIS announced its intention to launch a new cloud sourcing tool called “USCIS Idea Community”. It will allow stakeholders to post ideas and comments about the EB-5 Program. Wow! In another announcement, again showing a desire to move towards efficiency and the preservation of our trees, USCIS stated that the Electronic Immigration System (ELIS), which was launched May 2013, will be used to reduce paper work. A few direct EB-5 I-526 documents have already utilized ELIS. Regional centers will also shortly provide an electronic version of organizational, transactional and offering documents in the document library. Upcoming webinars will be held in the following weeks about the features of the document library. Ever since the release of the May 2013 memorandum, excitement over the hypothetical regional center has not ceased. However, there remained considerable confusion over how much detail was actually required, leaving practitioners guessing. At the Stakeholder’s meeting, it was clarified that a regional center with an actual project, once approved, will receive deference for the Matter of Ho compliant business plan and econometric studies, in stark contrast to a hypothetical project. In the past few months, a tremendous amount of regional centers have been designated as a center with a hypothetical project. At this time, most EB-5 Investors and agents do not really understand the difference, eventually the penny will drop. Once USCIS accelerates the processing time, it is recommended that a potential regional center file with an actual project and receive deference at the I-924 level. A hypothetical regional center will not be approved unless it submits verifiable details to prove economic growth and job creation; however, the level of verifiable details for the hypothetical regional center is obviously not as stringent as the regional center with an actual project. This is another topic that has caused considerable confusion, even to seasonal practitioners, as USCIS has not issued any clarification since the vague reference made in the May 30, 2013 policy memorandum. At this meeting, USCIS clarified that the new area must be contiguous to the approved regional center geographic areas. A designated regional center in California will not be permitted to operate projects in New York. USCIS will review RC expansions on a fact specific basis by the preponderance of the evidence rule to ascertain if the proposed expansion will actually promote economic growth. The expansion of the geographic boundary may be demonstrated through evidence that the proposed areas is contributing significantly to the supply chain and the labor pool of the proposed project. EB-5 projects must submit letters from designated state government agencies to verify the TEA. Questions were raised about the states that do not have a particular designated agency to handle the TEA designation. Under such circumstances, the submitted data by the individual petitioner shall meet the minimum requirements of the targeted employment area. Some states (e.g. New Mexico) do not issue TEA letters until the regional center is designated. For the I-924 petition, individually submitted data is also accepted. If a regional center project involves a collection of separate TEAs, the jobs can be counted as long as the job creating entity is primarily doing business in a TEA, though the jobs are not created in a particular TEA but in a collection of separate TEAs under the regional center. If there is a guaranteed return of investment or return of a portion of the investment, depending on the terms of the redemption, issues may raise as to whether the investors’ capital is placed sufficiently “at risk”. Whether or not preferred equity will be considered a promise and thereby a redemption agreement is a topic for another day! The sale of a regional center is not prohibited. However, a regional center must notify USCIS within 30 days of any change of address, principals, operation or administration. The regional center must notify USCIS of the sale and USCIS may require the regional center to file an I-924A Amendment, the processing time of which is longer than the I-924 petition. If a project developer has a time sensitive case, the developer is better off by filing a new regional center rather than the purchasing a RC and filing an amendment. The replacement of bridge financing with EB-5 capital is permitted. The replacement is usually contemplated prior to acquiring the original non-EB5 financing. USCIS restated what was written on the policy memo, i.e. that even if EB-5 financing was not contemplated prior to acquiring the bridge loan, it may be allowed as long as the bridge financing is short-term temporary financing, in comparison to long-term debts. It may create complications for EB-5 projects trying to qualify as a troubled business, which use EB-5 capital to pay off the long-term debts. The project should consult experienced EB-5 counsel for details. Hotel guest expenditures may be permitted. USCIS will review the underlying market studies used in the economic report. Possible evidence that the project can provide include: first, if the occupancy rates for hotel are high in an area, argument can be made that the new hotel serves the unmet demand supported by verifiable data and market studies. Second, the project can provide evidence to prove the new hotel is a differentiated product to a particular market segment and no comparable facility exists nearby. 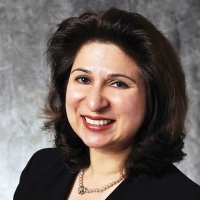 Mona Shah esq. is the principal of Mona Shah & Associates in New York City. The firm has assisted many Regional Centers and Investors in navigating this complex, nuanced and constantly changing area of immigration law. Mona has more than 18 years of legal experience in immigration law and extensive knowledge in EB-5 law. Mona's substantial litigation background includes her representation of clients in both state and federal courts. She has handled complex immigration law appeals before the US Circuit Courts of Appeal nationwide. Before coming to the US, Mona was a crown prosecutor in the UK. Mona has authored and published numerous articles and has spoken extensively both in the US and overseas. Yi Song Esq. is an attorney at Mona Shah & Associates focusing on EB-5 and securities law. She is admitted to practice law in New York and People's Republic of China. She has authored many published articles on EB-5 financing and securities law. 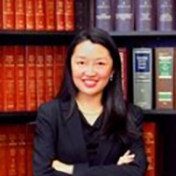 She practiced tax law in China and has experience in class action securities litigation cases. Yi is a graduate from Georgetown University Law Center in Washington, DC.